Wednesday marks an important day on the Church calendar. We observe the beginning of Lent on this day. 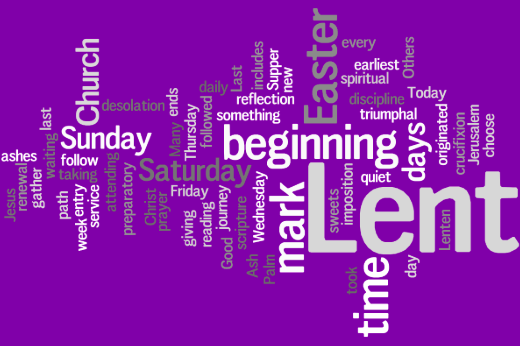 The history of the Lenten season is an interesting journey. It tells the story of faith-filled servants spanning time and space seeking to observe and celebrate in gratitude the greatest gift of all, Jesus sacrificial atonement of his people. While God does not command the church to observe Lent, we do seek to prepare our hearts and lives as we walk toward Good Friday and Easter through the Lenten season. I recently read a book entitled Mudhouse Sabbath in which Lauren Winner writes, “Practicing the spiritual disciplines does nat make us Christians. Instead, the practicing teaches us what it means to live as Christians.” We will be preparing our own hearts with music, liturgies and visuals during this time as well as inviting our children to mark themselves uniquely during this time. It is a tangible way for our young ones to remember to whom they belong and how that belonging transforms each of us in big and small tangible ways. With the weather entering the ebb and flow of seasonal changes, we ask you to please remember to have your child(ren) have ready access to winter gear, even if there is no snow on the ground. We have a very limited amount of extra gloves, snow pants, and only 2-3 pair of boots to offer. The students still need warmth and coverage for a playground that has a lot of dirt to mix with snow. Under the Big Top! Family Fun Night is ONE week away! 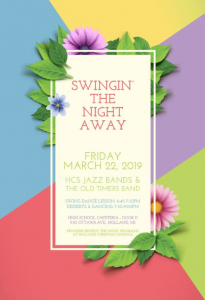 Friday, March 8, 2019 5:30 – 8:00pm at Pine Ridge. Thank you to the many of you who have volunteered or contributed in some way! We greatly appreciate it!! Candy donations can still be brought to the offices, and we still have some specific needs: We could still use pop or Gatorade for the Bottle Ring Toss game, full size candy bars for Bingo, and we have openings for cupcakes for Cake Walk that need to be filled. Also, we have openings for workers, especially for second shift games. If we don’t have enough volunteers, we may not be able to offer all of the game options. Please consider if you can help us in this way. Fun Night advance ticket sales: Beginning Monday, March 4, you will be able to purchase fun night punch cards in the office at both South Side and Pine Ridge. 40-punch cards are $10, 20-punch cards are $5, and a card to purchase a whole pizza is $6. All games are 1 punch, and food prices range from 1 punch to 3 punches. Children will win tickets at the games and can then go to the Prize Room (Gym) to redeem their tickets for prizes (similar to Chuck E. Cheese). 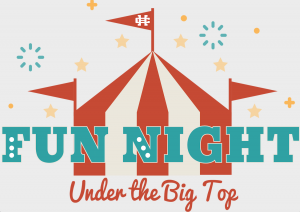 Fun Night map and final information: Your child will be taking home an orange sheet which has a map of Pine Ridge and shows where all of the games and activities will be taking place. It also gives important information about food prices, parking, and much more! Please look for it, and take it with you to Fun Night! Remember to share the good news of Holland Christian to others. If parent would like a tour please encourage them to call the office and we will gladly set up a time to introduce them to the building, perspective grade level teacher(S) and a sit down with the principal to answer questions. It’s tough to believe when our temperature peeks right around 11º in the afternoon, BUT spring time is on the way! It always comes! And with it comes Tulip Time! 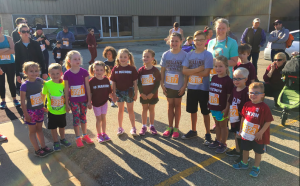 Last year we had a group of Mini Maroon Platoon Runners who participated in the Tulip Time Fun Run. This event is in the works again this year! 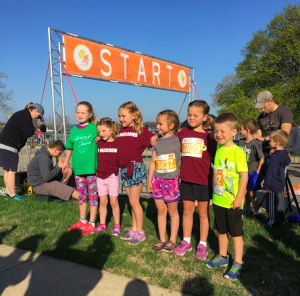 If you have a mini runner who would like to participate in the excitement of Tulip Time, take a peek at these details! The Kid’s Fun Run will take place on May 4 at 9:00 am. Put a maroon shirt on your child (if you’re plumb out of maroon shirts, stop at the South Side office, we have a selection you can pick from) and lace up those shoes! This fun run is intended for children 8 and under. The running and playing our children do every day at recess is sufficient training for the course (it’s less than a 1 mile run). If you register before April 15 you’re guaranteed a t-shirt! We are welcoming 6th graders to join in a select number of Spring Sports with our HCMS athletic family. We are offering Boys/Girls Track and Boys Tennis this sports season. You may change your mind and switch at any time up until the sport season starts on March 18, 2019. Holland Christian Schools athletic department will offer athletic physicals for the 2019-2020 school year on Tuesday, April 30, 2019 from 6:30-9:00 at Lakeshore Health Partners South Washington facility. The cost is $15 and signups will once again be online through SignupGenius. Stay tuned for more details. Register with a friend! $38. www.recreation.parktownship.org Register by March 1, Program runs April 9-May 18. Shin guards and cleats required. Parent volunteers as coaches. Please fill out coach form attached to your email receipt if you are interested in being a coach. Due to the high amount of teammate requests, requests are only granted for coaches.